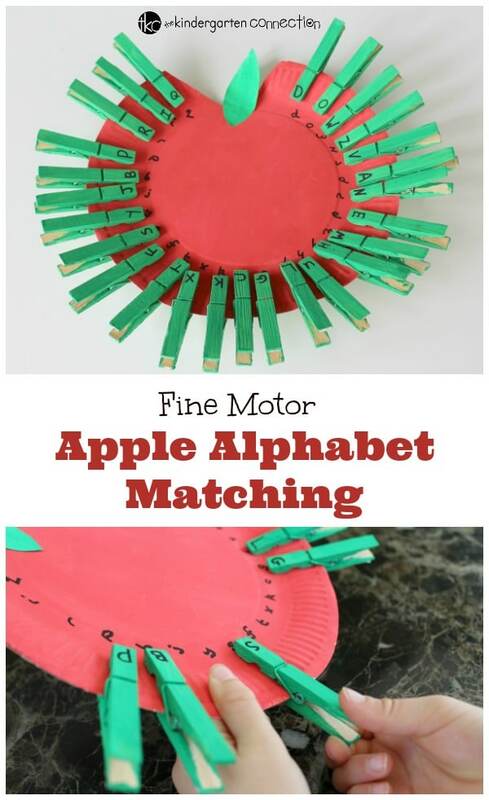 Our Apple Alphabet Match gives fine motor skills a workout while working on matching upper and lower case letters. 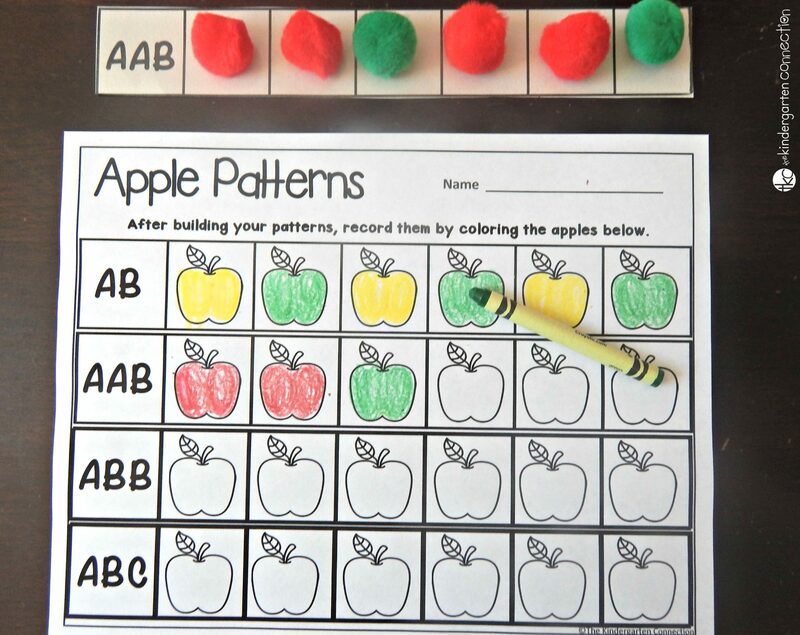 This is a fun letter recognition activity for preschoolers and kindergartners studying an apple or fall theme. My daughter is really enjoying playing with clothespins in our activities at home right now. She is even offering to help me hang out the endless loads of washing (which she has been doing with the aid of a small step). 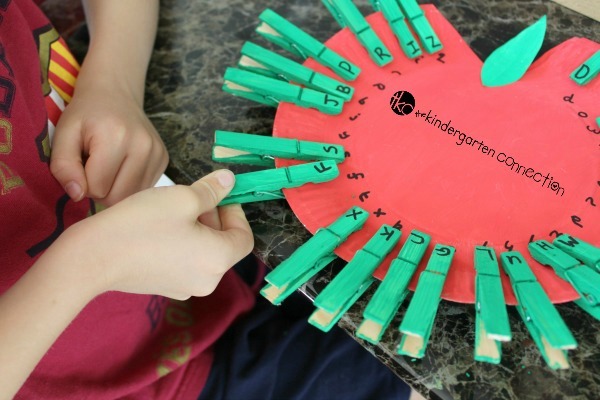 Opening and closing clothespins is a great fine motor skills activity for young children. The movement gives the muscles in their fingers and hands a really good work out, strengthening them as they play. 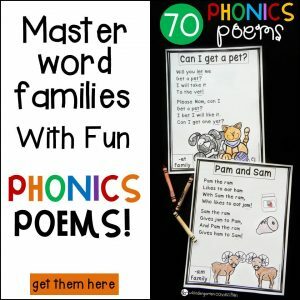 This will help them with their writing development down the road. 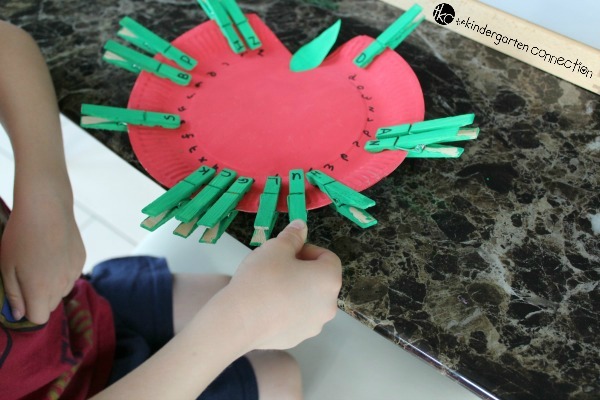 I decided to put our love of clothespins to good use in a fun learning activity for us all with a fun fall twist! 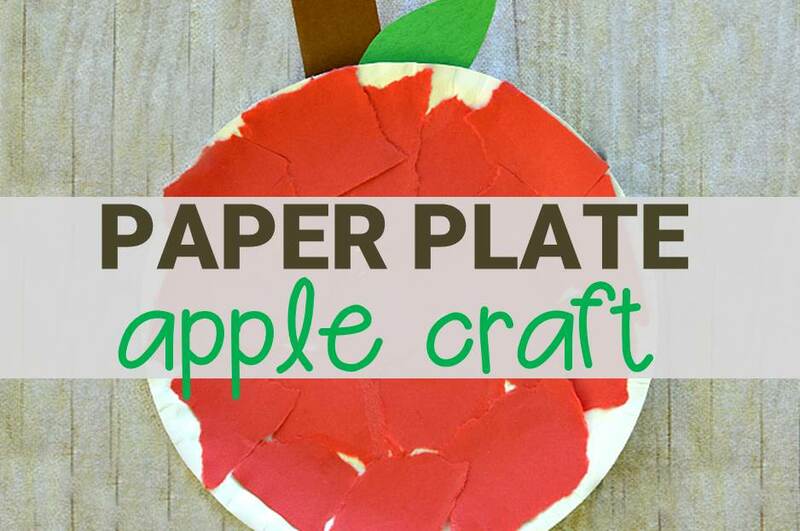 To make the apple, I painted the paper plate all over with red paint and then covered the leaf shape in green paint. Once dried I attached the two together with glue and wrote lowercase letters all around the plate. I then moved onto the clothespins and painted them green, before adding on all of the uppercase letters of the alphabet using black marker pen. Be sure that the paint is completely dry before doing this. **We painted our clothespins, but you can also find ready to go green clothespins on Amazon. You could of course have the kids help out with the preparation as well. They love painting! 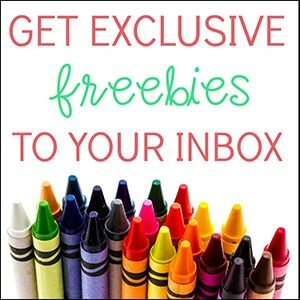 This activity works as a solo or group activity. A child can have a go at matching up all or a selection of the clothespins. 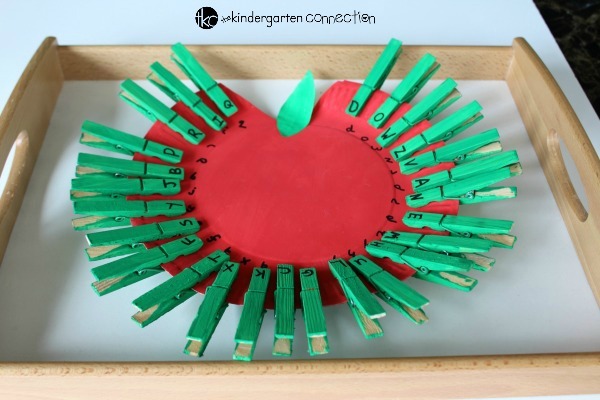 or a small group of children could take it turns clipping a clothespin with an uppercase letter onto the corresponding lower case letter on the paper plate apple. 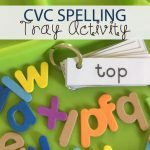 Younger players could match up lowercase to lowercase letters to work on alphabet recognition. 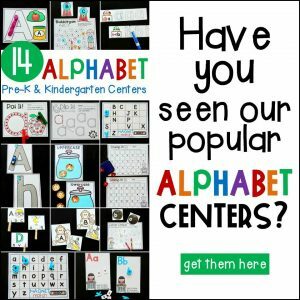 You could also match letters in your child’s name, numbers, words – there are tons of possibilities! Have apples on the brain? 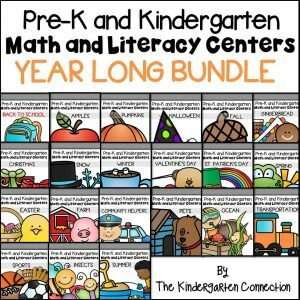 Here are some more of our favorite apple activities to try this fall!